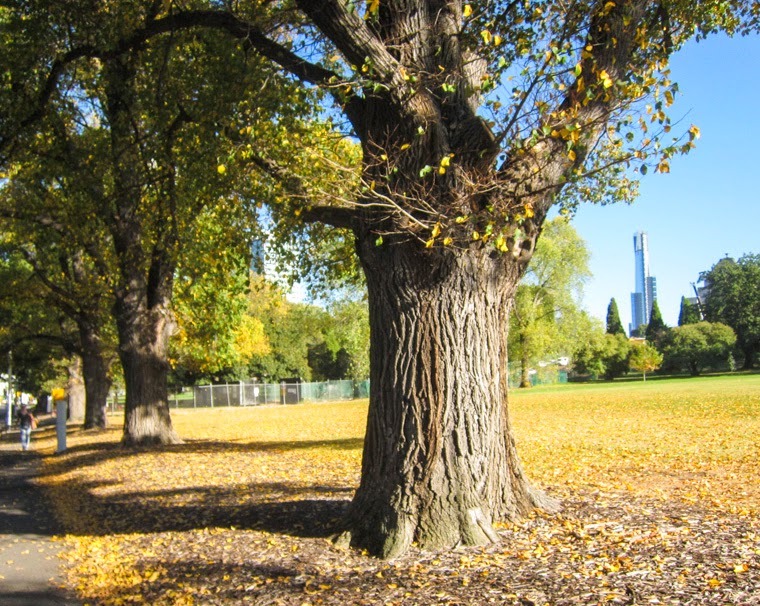 It's autumn in Melbourne, and I've started walking to work when the weather is nice. I walk on the exact same route that I take on the tram. Going on foot gives me a different perspective. It takes a little longer, but public transport delays no longer bother me, I'm more in touch with my surroundings, and I feel rather fresh and invigorated when I arrive at the office. I slow down for fluffy black cats. 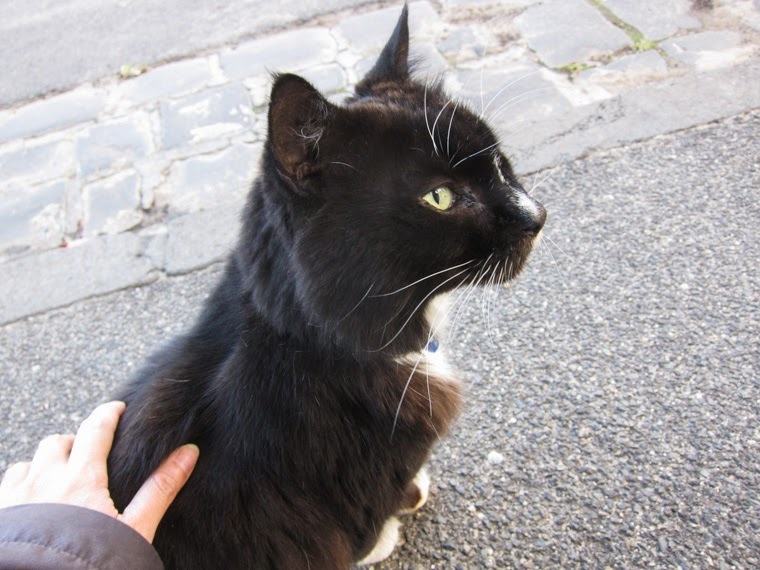 It also means that, if I see a fluffy black cat on my way to work, I can easily stop and pat it if I want to. I think I've mentioned that Simon and I are in kind of a long-distance Perth-Melbourne relationship at the moment. 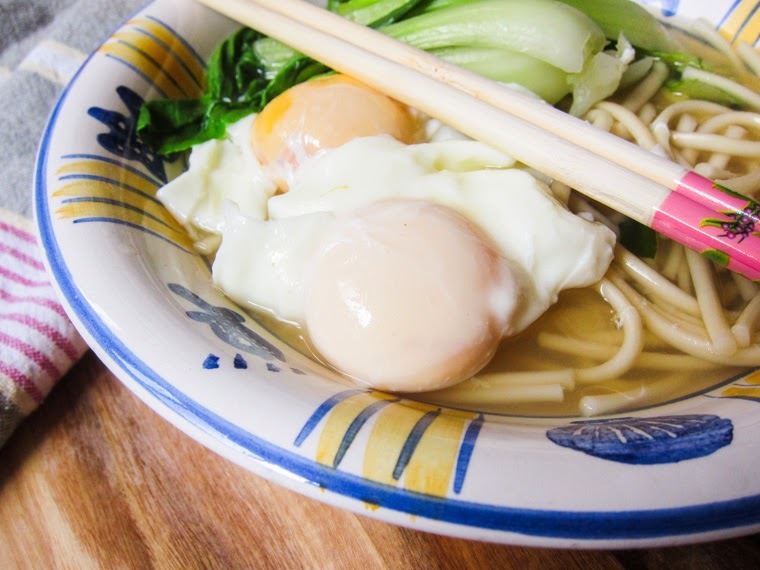 Well, he recently visited, and we've been eating out a lot, dumplings mostly, but I've also been cooking for us, making simple dishes such as this above bowl of udon noodles in miso broth. 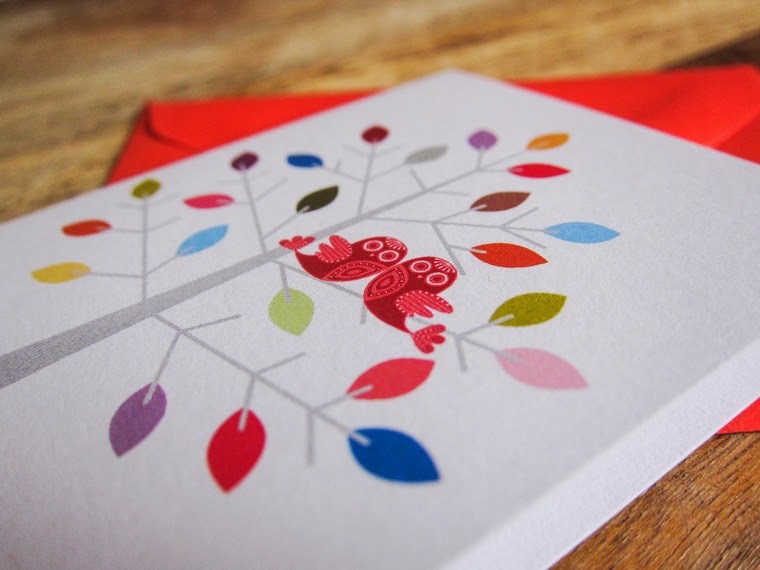 Little Red Owl card by Melbourne artist Natalie Marshall. We also went to my friend Joanne's wedding. I picked out this absolutely adorable card with little red owls by Natalie Marshall, a Melbourne artist, at Paperpoint, a stationery shop in South Melbourne. It came with a very appropriately cheerful red envelope, perfect for stuffing a few notes in and slipping into the wishing well. 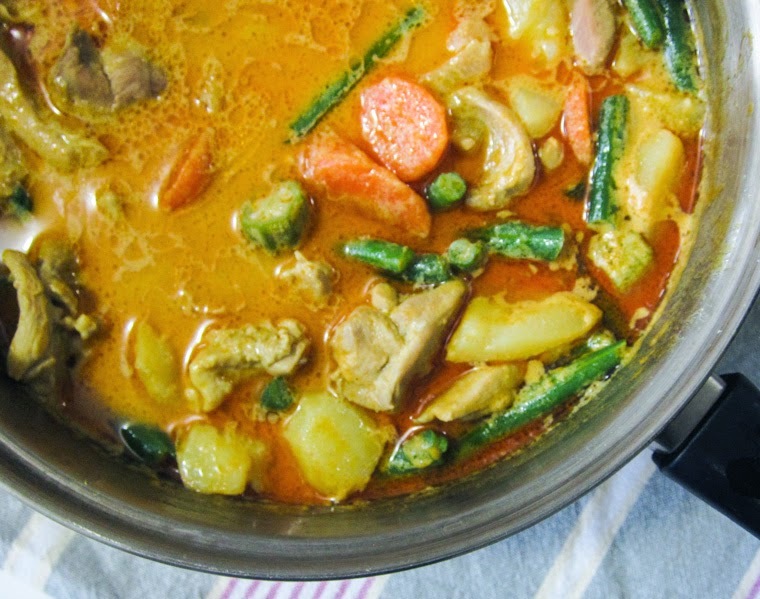 I cooked Malaysian chicken curry one night for Simon and my housemates. It was very tasty, and I have to give most of the credit to the neighbour back in Malaysia who roasted and ground the spice mix from scratch, and my parents for bringing a jar of that gorgeous flaming golden curry powder over to Australia for me. Astam village, one of my favourite places in Nepal. Last but not least, I'm actually in Nepal right now! I'm traveling for a few weeks with Simon, and we're having a great time. I'm not sure if I'll be doing much else in the way of blogging or other internet activities while I'm on holiday, but rest assured when I get back there shall be a lot of catching up to do! Wow, Nepal. Actually everything here is pretty wow, golden curry and fluffy black cats including. Enjoy your time away, sounds like a beautiful time of year to do some exploring (on both sides of the Equator)! 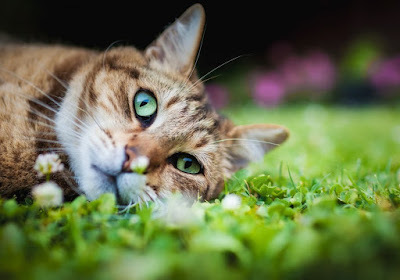 Love the cat and your curry looks very tempting! 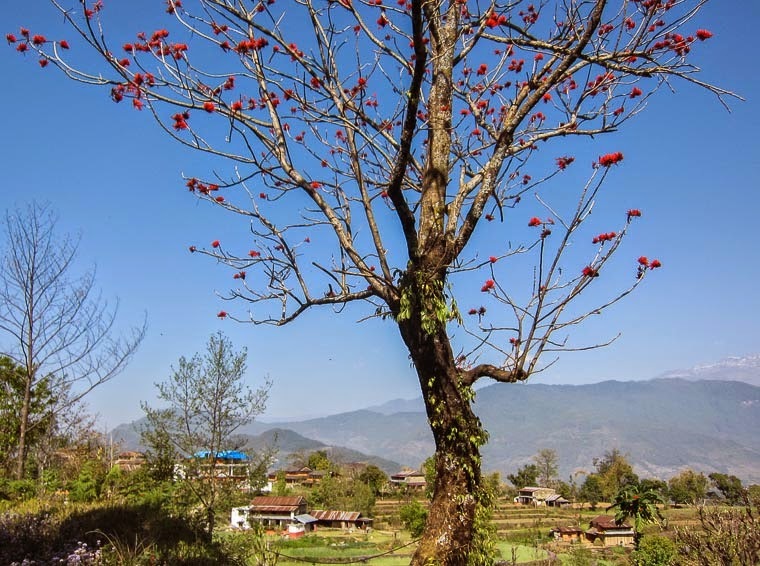 your autumn in melbourne looks lovely - but your autumn in nepal looks breathtaking! Seems like you have been having a delicious Asian journey through food. I love that miso broth. Yum!